Previously, I posted my top 10 favorite cities in Europe. Now it's time for the Asian version. These are based on the cities that I have been to, of course. (So don't ask why there's no Singapore). Asia is one of the most visited continents in the world. It offers a lot of adventure and wonderful experiences. Although most countries here are still developing, it can still offer convenience of travel. And these cities are basically cheaper compared to its European or North American counterpart. I live in Asia, so basically I've been traveling to different Asian cities since I was born. But so far, these are the cities that stood up. My top ten favorite cities. at Patuxai Park. The background is a government house. Laos' sleepy capital. This city is sooo laid-back. If you want to escape the busyness of Bangkok, and yet still be in a capital city, head to this city. It's basically a walking city too. You can just walk around and explore historical places. The buildings here, though few, are well organized. You can hardly see a beggar. And despite being a third-world country, I notice the houses here are so big and beautiful. At night, relax by the Mekong river and have some authentic Lao food. A city worth visiting if you are in Asia. must-visits: Patuxai (gate of triumph), That Luang, Mekong river, War Museum, and Morning Market. One of Asia's big cities, Jakarta for sure has lots of challenges, like overpopulation, pollution, traffic jam, and environmental sanitation. But despite that, it also offers many things that you'll love like gigantic shopping malls, restaurants, hotels, shops, convenient and cheap transportation and of course, my favorite, street foods! One of the best street foods in Asia. Be sure to visit Jakarta for a culinary experience of a lifetime. I came here last March 2011, for a brief visit. One of the things I love about KL is their transportation. It is organize, comfortable, and affordable. They have a very good train system. The food is also delicious and cheap. It also offers lots of big shopping malls, entertainment centers, and theme parks. 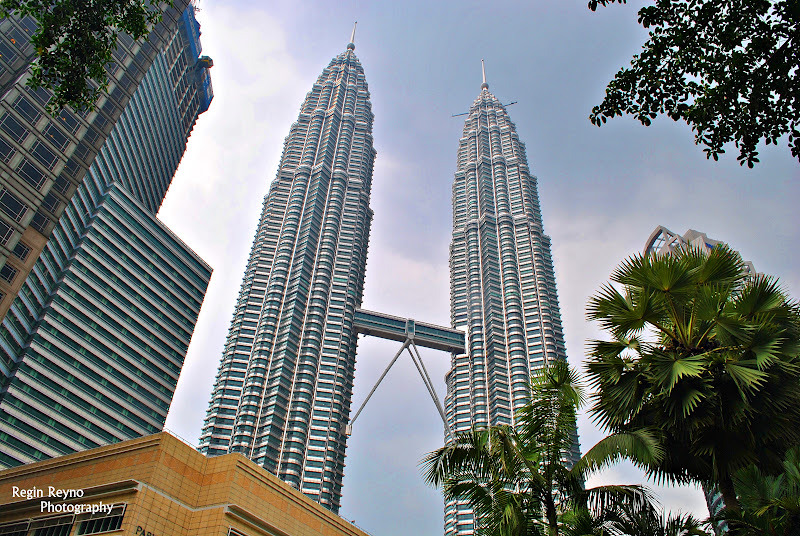 Be sure to visit Petronas' Twin Towers, the former world's tallest buildings. Many people will advice you to leave Manila as quick as possible and go to the provinces. I beg to disagree. Manila is one of Philippines' major tourist destination. It's rich in history. In fact, one of Philippine's UNESCO World Heritage Sites can be found in Manila. (San Agustin Church) You will have a wonderful historical tour once you're in Manila. 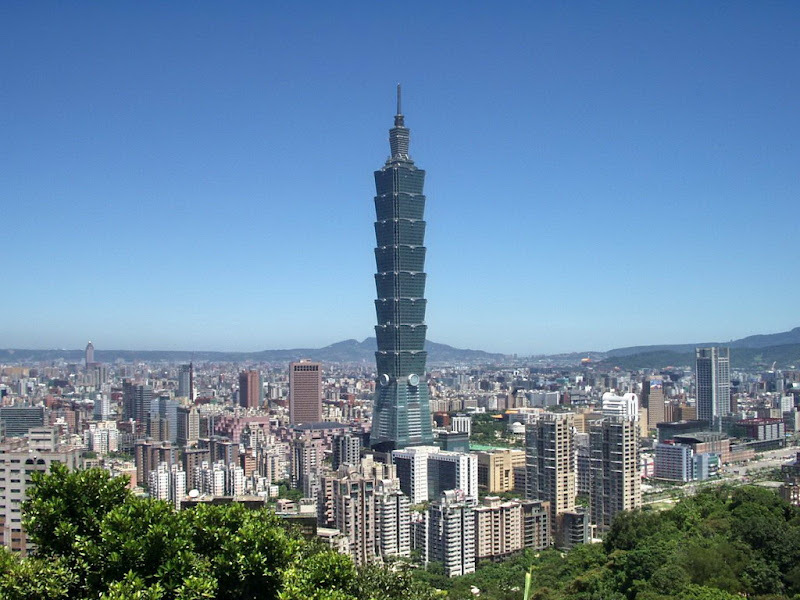 Once known as Pearl of the Orient, it was flattened during World War II. Nevertheless, some colonial buildings still remain. And for me, Manila hasn't loss its charm. Massive shopping malls, restaurants, shops, delicious street foods (they have the best fish ball in the world), cultural centers and concert halls. And for music lovers, the best choirs in the world can be found in Manila! Take a historical tour at Intramuros, visit Rizal Park, ride a calesa, shop 'til you drop at bargain malls like Greenhills or posh malls like Greenbelt. Ride a jeepney, watch choral or classical concerts at the Cultural Center of the Philippines, behold the world class sunset over Manila bay. These are just some of the activities that you shouldn't miss when in Manila. There are also backpacker's area here like Malate, Manila and Burgos, Makati. Check it out if you want to stay in backpacker's guesthouses or just mingle with backpackers. must-visits: Intramuros, San Agustin Church, Fort Santiago, Rizal Park, and Greenbelt Mall. 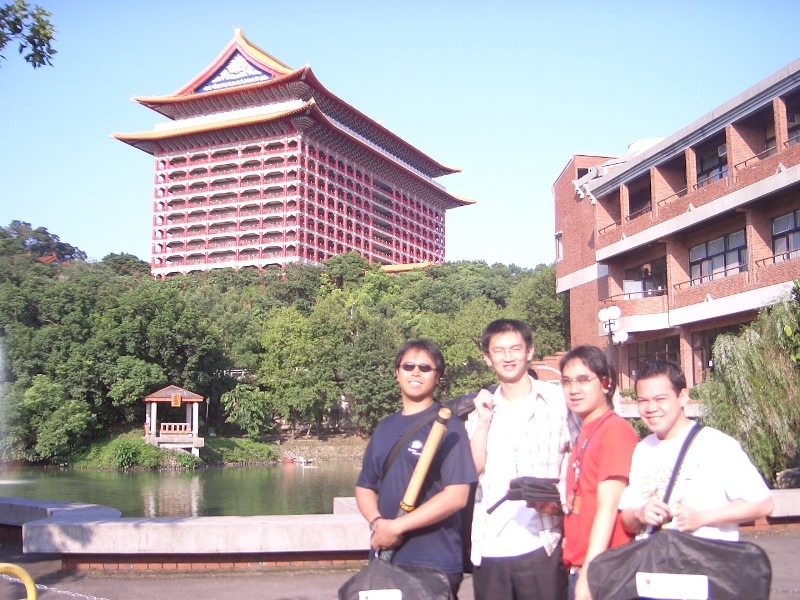 with Pong, Wang, and JM in Taipei. The background building on the left is the Grand Hotel. Our hotel during our stay in Taipei. One of the most progressive Asian cities I have been too. This booming city is so progressive. Modern architectures abound everywhere. Posh malls, shopping centers, cafes. In fact, the former world's tallest building is in this city. Shopping for electronic gadgets is also great in this city. They have lots to choose from at a low price. But the thing I love most about this city is their food. Chinese food at it's best. And its so cheap. They also have night markets which makes it a great shopping destination too. Be sure to try their street foods at night. I'm in a communist country. The background is a government house. At first I thought Vietnam cities are still not that developed because of the Vietnam War during the 70's. That's why I was shocked when I visited Saigon. It's a booming city with lots of infrastructures and cool places. It is so historical with lots of colonial infrastructures. Example is the Notre Dame de Saigon cathedral. Built during the French occupation. It is also clean compared to other Asian cities. The tourism here is doing good. Lots of backpackers abound in the area. It has a backpacker's area calle Pha Ngum Lao street. There you can find backpacker hostels and souvenir stores. It's the Khaosan road of Saigon- a cool place to hangout. We visited Saigon last May 2011 and we just walked around the city. It's a cool place to walk around. Shopping here is great and the food is also superb and cheap. Located on the east coast of the beach of Thailand, this city is one of the the most visited cities in Thailand. It is very popular among tourists and expatriates. We spent our December vacation here last 2010 and we enjoyed every moment of it. You can just go here and plunge straight to the warm waters anywhere. It has that laid-back city feel that I want. Laid-back in a sense that it's not so busy and less traffic jams and yet you can have the things that you need. There are big shopping malls here. In the afternoon its nice to just sit on a beach chair and just read a book. At night the city is so lively with many activities. The water sports here are also cheap. From jet ski to banana boat to para gliding. must-try: Banana boat at sunset. 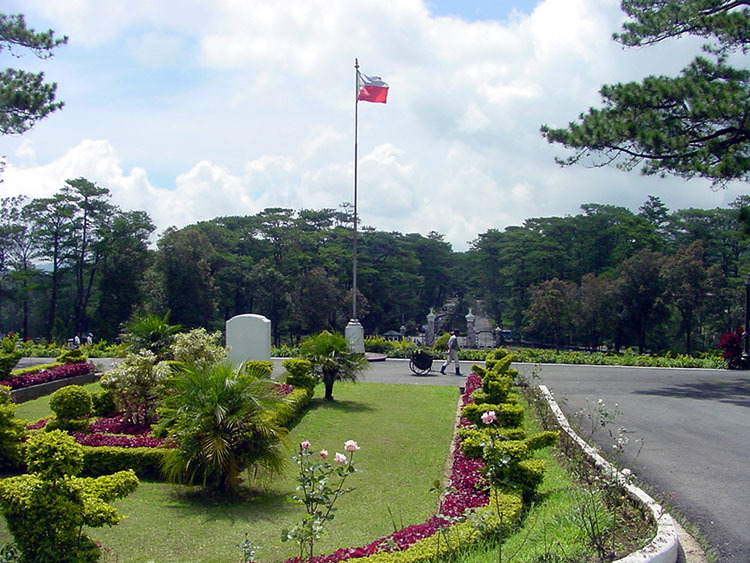 The summer capital of the Philippines and the city of Pines. Baguio never fails to amaze me. It's cool climate, stunning views, clean surrounding, flowers, and culture. For me, it's the most romantic city in the Philippines. Who wouldn't fall in love with this place? The remnants of the American occupation here before have large impact on the place. From cleanliness to the infrastructures. And because of its high altitude, the climate all year round is cool. Burnham park, Mines View Park, the Philippine Military Academy, Club John Hay, and The Mansion. These are some of the touristy spots in this city. My family always went here for vacation even when I was still young. And the last time I was here was 2003, when my friends and I from Adventist University of the Philippines rented a car all the way from Manila for a holiday. I can't wait to be back. This city is so dear to me. I really fell in love with this city for many reasons. 1. Angkor Wat 2. cheap accommodations, 3. cheap massages 4. good food 5. laid-back 6. generally safe. 7. lots of cool travelers around 8. friendly locals 9. stress-free city 10. remorque-moto (tuktuk). This city is so family-friendly and soooo romantic-because of the easy pace of life in this city. There are lots of accommodation to choose from. From 5 star hotels to guesthouses. The backpacker's area in this city is called Pub Street. Since this city is so touristy, the transportation here going to other countries or places is so convenient as well. I visited Siem Reap 3 times already, but I still can't get enough of it. I just so love the environment, the atmosphere in that place, the food and the cultural experience. I will definitely be back. And by the way, their tuk tuks are the most romantic rickshaws in the world. Okay, my number 1. The city of angels, the land of smiles. Bangkok or Krungthep. This city has everything a traveler or expat wants. It is so convenient living here and so cheap. Even if it's a big metropolis, the standard of living is still cheap, especially compared to other SEA big cities. One can live in a decent apartment with AC for THB 3,000/month. ($100). The average meal here costs THB 30 ($1). The transportation is so convenient and so cheap as well. It is the center of backpackers and travelers in Southeast Asia that's why it's so easy to travel to other countries once you're here. The culture here is still preserved. There are lots of temples everywhere and shopping malls abound everywhere. For me, they have the best shopping malls in Southeast Asia. And I'm sure every photographer and techie guys will love Bangkok because of its affordable electronic gadgets. Khaosan road is the headquarters of backpackers here. What are the cities in Asia that captured your heart? Yup. I plan to visit Boracay someday. Elal, These cities are really worth visiting. God bless you in your travels. Pano naman naging mayaman to? hahaha.. I really love Jogjakarta. It'll definitely make the list. it muсh moгe pleаsаnt foг me to сome heгe anԁ visit more oftеn. Did you hire out a desіgneг to сгеаte your theme? Great list. I havent been to all of them but KL and Vientiane I thought were the best. I would disagree on the Manilla front though. I would ascribe to the 'dont spend too long' there tribe. Thanks for dropping by Ros. You have a very good blogsite. When i talk about Asian city's, I prefer Pattaya, Thailand for visiting. I Went there last year in month of August. Pattaya is just awesome place for tourist in Asia, I spend my several time on Pattaya beach. Those are sunny days but i am enjoying my stay. There are good things and bad things about Pattaya. I really love the good things about it. Right. There are laid-back spots, too. Thanks for the review :) I hope you'll get the chance to visit Singapore sometime soon :) It's a beautiful city!